AutoCAD is the most broadly used application for designs and apparently the most efficient too. One can easily run AutoCAD on the lowest-end computers but that does not mean that there is no benefit in using a high-end one. The higher the specifications will be, the lower the time it will take to render 3D designs. That is why it is necessary to go for high-end computers when it comes to AutoCAD especially for working professionally where the essence of time is money. A desktop computer is perfect for such a demanding software but if you are looking for a portable solution, a high-end laptop is irrefutable. MSI is a remarkable company in the gaming industry with its wide range of gaming-oriented products. 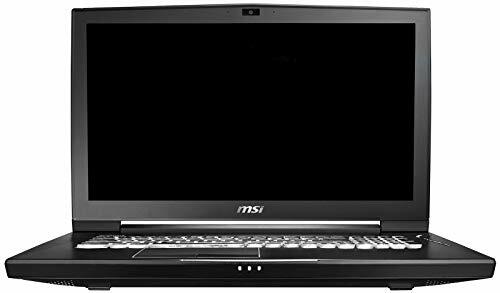 However, MSI WT75 is a workstation laptop specifically designed to work with professional applications. Unlike standard laptops, a desktop-standard motherboard is used in this laptop having the socket LGA-1151, which is the mainstream socket for 8th generation Intel processors. These processors also support built-in graphics cards in case the user does not want to use the discrete graphics card. A maximum RAM of 128-GB is supported when using Non-ECC sticks and 64-GB with ECC sticks at a frequency of 2400-MHz. With a total combination of five slots available for storage, it has enormous potential for storage capacity. This laptop comes with three models namely 8SK, 8SL, and 8SM, each having a different Nvidia Quadro graphics card with 8SM model being the best. Now, we talk about the screen used in this laptop. It comes with two types of IPS screens, a 1080p with 120-Hz or a stunning 2160p 60-Hz. It is up to users to decide whether they want high refresh rate leading to ease of use or high-resolution leading to better productivity. However, both screens support wide-gamut color spaces as the laptop is intended for designers. This laptop provided the best performance and great thermal behavior among all the laptops in our list and we felt that the battery timing was also more than sufficient. It incorporates an 8-Cell battery with a 90-WHr rating and uses a 330-watt AC adapter for charging making it one of the most power hungry laptops in the world. There are two 3-Watt speakers and one 5-Watt woofer used in this laptop and the keyboard is backlit by white color. The cooling solution used in this laptop is very impressive with eight heat-pipes and two fans, ensuring cool operation. The laptop weighs around 9-lbs which makes it less portable than other laptops in our category. We will recommend this laptop to only the enthusiast-class users whose top priority is performance and care less about the price and portability. Hewlett-Packard (HP) is a famous brand known for its computer products. HP ZBook 17 G5 is a mobile workstation having a lot of firepower under the hood. A lot of processors are useable in this laptop starting from Intel Core i5-8300H all the way up to Core-i9 8950HK or Xeon E-2186M having six cores. The laptop can also be equipped with ECC RAM providing error correction and much better failure rates. There are three M.2 slots and two 2.5” bays for storage and unless you plan on having a giant storage space, we recommend only using M.2 slots. There are a lot of options in dedicated graphics cards starting from Nvidia Quadro P1000 4GB to Quadro P5200 16GB. This laptop provides a top of the line 17.3″ Anti-Glare 2160p DreamColor display with wide-gamut color space support though cheaper displays are also available. HP ZBook 17 G5 comes with a 6-cell 95.6-WHr battery and uses a 200-watt AC adapter. Users need not worry about the cooling as two thick heat-pipes are used inside the laptop along with two fans keeping temperatures below the limits. During test runs, the laptop provided superior performance along with tolerable temperatures. The keyboard is back-lit and spill-resistant which is a plus point for some users. We believe that this will be a great product for users who cannot afford extreme-end laptops like the MSI WT75. 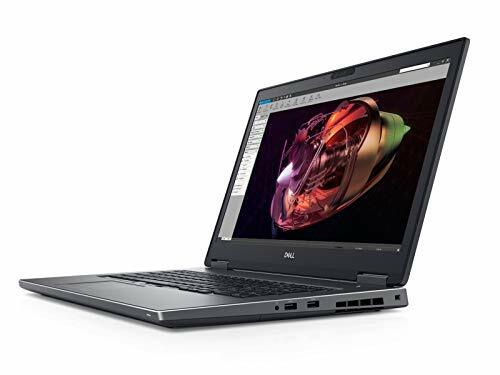 Dell Precision 7730 is Dell’s latest model in the precision series which offer premium performance for professional design software. 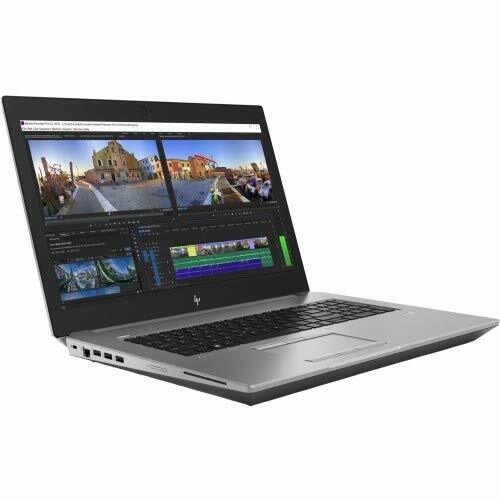 If someone likes what HP ZBook offers but just cannot fathom details like looks, cooling solution or software affiliations, then Dell Precision 7730 might be a perfect choice. It provides one 2.5” bay while four M.2 slots for storage devices. Many dedicated graphics cards are available such as Nvidia Quadro P5200 16-GB or AMD Radeon Pro WX7100 8-GB. It has a 17.3″ IGZO IPS display having 4K resolution with a premium panel guarantee and 100% Adobe-RGB color space. Lower resolution and lower quality screens are also available if the user does not want to focus on screen quality that much. There are two types of batteries available in this laptop, a 4-cell 64-WHr rating battery, and a 6-cell 97-WHr rating battery. This laptop uses three heat-pipes along with two fans to dissipate the excessive heat generated by high-end components. Dell precision 7730 provided similar results to the HP ZBook with slightly better temperatures. The design of the laptop, however, feels rather too simplistic and could have been better. This laptop is a great alternative to HP ZBook 17 for users who can compromise on screen quality and want to achieve higher storage capacity. ASUS ROG Zephyrus GX501 is from the Republic Of Gamer series is named after gamers. Since games require graphic-intensive hardware, gaming laptops are equally good for 3D design software such as AutoCAD. This laptop supports Intel Core-i7 8750H and 32-GB of DDR4 RAM which concludes it to be in the high-end laptop category. It has no space for a hard-disk and accommodates only one M.2 NVMe slot, crippling the storage capacity to a maximum of 2-TB. 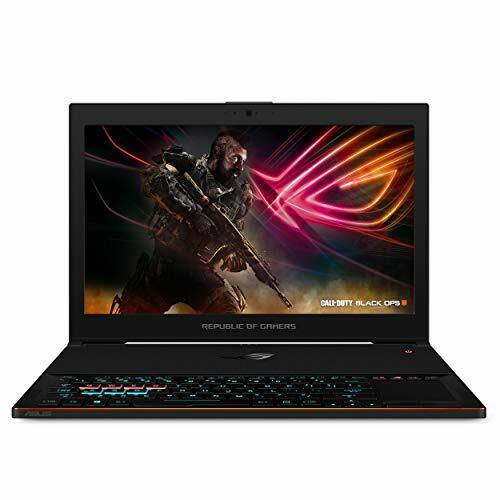 It compensates the storage capabilities with graphical performance as Nvidia GeForce GTX 1080 is readily available, being one of the fastest laptop graphics cards. It has a 15.6″ 1080p IPS display at a refresh rate of 144-Hz with GSync enabled and 100% SRGB support which is below the wide-gamut color space standards and is not suitable for color-critical tasks. This laptop showed great promise in the rendering sessions and its benchmarks were quite similar to Quadro P5200 based laptops we mentioned. The temperatures of this laptop were a little high which can be controlled via decreasing the voltage of the graphics card. ASUS ROG Zephyrus GX501 includes a battery with a 50-WHr rating and it comes with a 230-watt AC adapter. Two speakers are present in the laptop of 2-watts each and the keyboard is RGB-backlit which can be customized with Aura Sync software. With a dazzling appearance along with slim design, this product suits most of the AutoCAD users, providing great portability, graphical performance, and price. 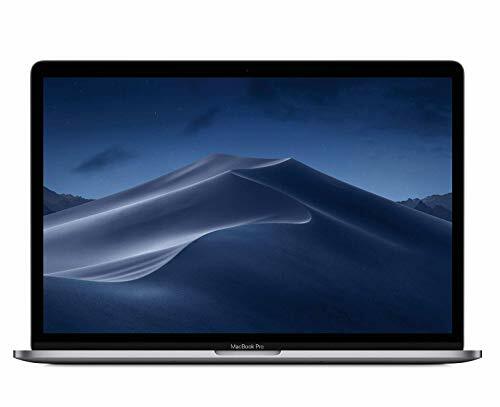 Apple released MacBook Pro 15 last year which was a big success as it improved a lot from the previous generation. Hexacore processors became available (quadcore in previous generations) along with better display and graphics capabilities. The laptop comes with 512-GB SSD which can be upgraded to a maximum of 4-TB. There are three dedicated graphics cards available, all of them by AMD, up to AMD Radeon Pro Vega 20. It has a 15.4″ Retina display with a resolution of 2880 x 1800 and supports various wide-gamut color spaces. We observed around 30% improvement from the previous generation model which was expected as there are two more cores available in this laptop. The laptop also provides a battery timing of around ten hours which is excellent for a high-end laptop like this. The laptop only includes four Thunderbolt ports, which is a bit disappointing as a lot of adapters are needed if you want to use devices with other ports. This laptop is recommended to people who prefer Mac OS over Windows and demand great battery timing.